You probably have heard of matcha— it’s trendy, green, awesome for you, and at Feel-Rite Fresh Markets, we can’t get enough of it. But what is it? What isn’t it? Where does it come from? And, what’s all the hype? In this blog post, we will cover all of the basics about this health food trend that you can find in our store, in coffee shops and even incorporated into restaurant menus. Matcha is a type of tea made from ground green tea leaves. The name, itself, means “powdered tea”. While Matcha is made from green tea leaves, unlike your typical green tea that is kept as loose leaves and steeped into hot water through tea bags, making matcha tea involves grounding up or beating the tea leaves into a fine powder solution. The ground up tea is then added into boiling water and then whisked until frothy. Traditionally, it is whisked with a brush made from bamboo shoots. According to the article “7 Things You Should Know About Matcha” from Health.com, mixing a teaspoon into one-third of a cup should do the trick. Origins of matcha tea dates back to around 8th century Japan where the same variety of tea leaves was stored in bricks for easy transportation across long distances. However, it didn’t become popular until around the 12th century when Zen monks practiced grinding the tea into the fine powder and whisking it into hot water— resembling the process we know today. For more information on the history of matcha tea, check out: “Matcha an Initial Encounter” by Tyas Sōsen on WorldofTea.org. Matcha is rich in antioxidants. Antioxidants have been tied to protection against heart disease and cancer, as well as better blood sugar regulation, blood pressure reduction, and anti-aging, according to Health.com. What’s more, they don’t just have any antioxidants, they have the best ones. Matcha tea is rich in a group of some of the most potent antioxidants called catechins. Sixty percent of the makeup of catechins in matcha is epigallocatechin gallate (EGCg), about 100 times more EGCg than any other tea on the market. This one in particular is known to have properties that help fight cancer (Health.com). It will get you hyper-focused. There’s a reason Zen Buddhists used this tea as a part of their meditation routine. It will give you focused energy, that means no jitters! Even though it has caffeine, about half as much as one cup of black coffee, it contains an amino acid called L-Theanine that boosts alpha waves in the brain which induces relaxation without the inherent drowsiness caused by other “downers.” It also increases the amount of seratonin and dopamine in the brain that, together, boosts the mood, memory and concentration. It also is high in Potassium, Vitamins A & C, Iron, Protein, and Calcium- all important vitamins for your immune system. Not to mention, like green tea extract, matcha helps increase your metabolism, which means it can help you burn more fat at the gym. 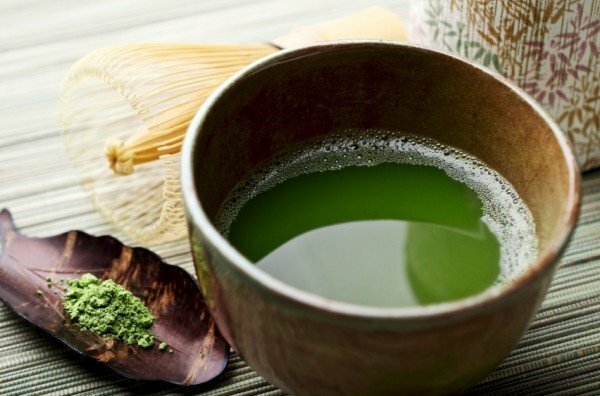 For More information on the health benefits of Matcha tea, check out “10 Amazing Benefits Of Matcha Green Tea” from the Natural Living Ideas blog. Bottom Line: Matcha tea is amazing for you and we love it! 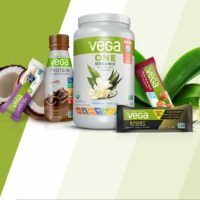 Check out our awesome brands, including Green Foods, Navitas, and Organic traditions. We love also love it in our smoothies, we recommend trying it with an Endurance, Gimme Green or Superhero Smoothie at the juice bar (Boulevard location, flavors at other stores may vary)! Make Matcha a part of your healthy living routine, come visit us today for more information, and product selection!